New this year from Breezer, the Greenway pedal assist bike is perfect for those riders that love to commute, but maybe don’t want the extra sweat before work. 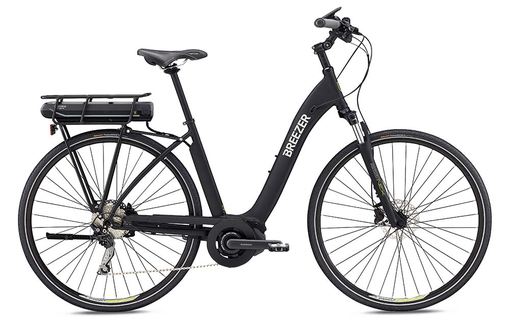 Based on the Breezer’s popular hybrid bike the Liberty, the Greenway offers the same lightweight aluminum frame and wide gear range. The Greenway also includes all plethora of premium extras that are normally purchased separately, so there’s no need to buy extra bike racks, fenders or lights.